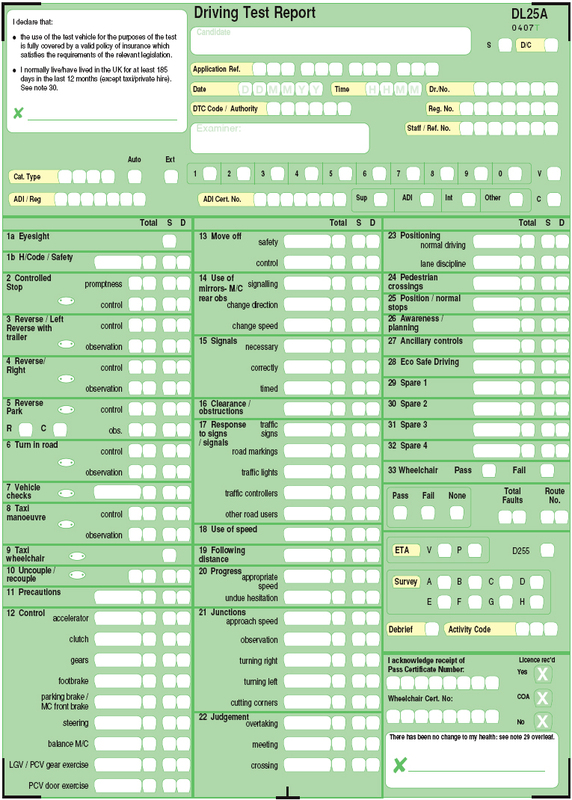 Below is a replica of the Driving Test Report - DL25, this is the marking sheet that all DVSA examiners use when conducting a practical driving test. You cannot have any marks in the 'S' (serious fault) and 'D' (dangerous fault) boxes and no more than 15 minor driving faults. 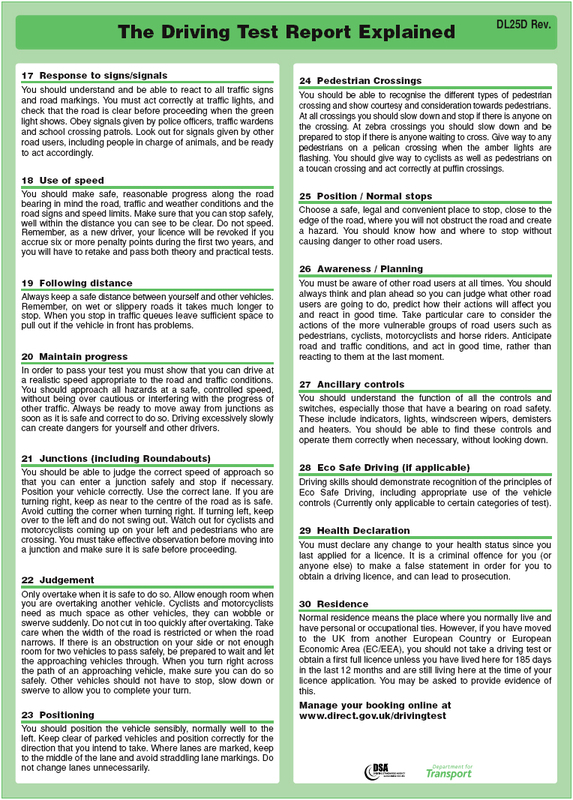 Read the 'Driving Test Report Explained' to understand what each part of the driving test is about. 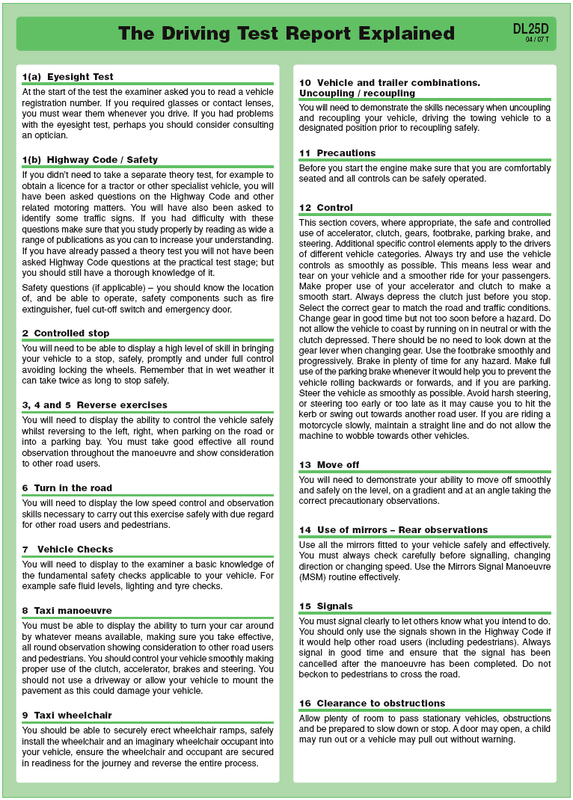 After reading this you should be able to see and understand what the examiners look at when marking your driving test.